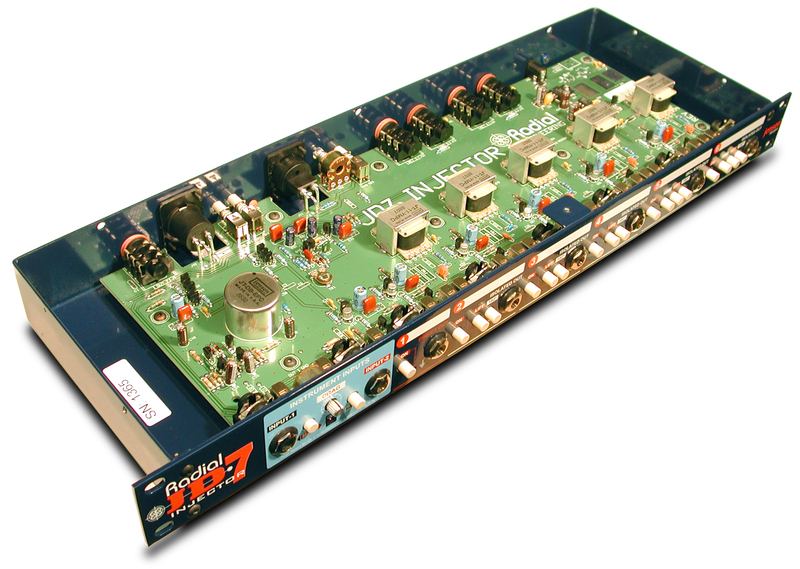 Front panel control makes selecting amplifiers, ground paths and polarity (phase reversal) easy. The JD7 utilizes a newly developed Class-A audio signal path that has been optimized for use with electric guitars and is 100% discreet (no opamps or chips) producing the most accurate and faithful signal at each output. To eliminate such problems as 60 cycle hum caused by ground loops without signal degradation, the world’s finest audio transformers by Jensen® are employed.